Michelle is a Senior Research Analyst at the Center for High Impact Philanthropy. Her primary role involves developing guiding research questions and methodologies that will build the evidence-based foundations needed for philanthropic decision-making frameworks. Her work includes conducting reviews of academic literature and non-academic reports, utilizing publicly available datasets, conducting and summarizing information from consultative interviews with experts, and overseeing student research associates. Michelle has 18 years of experience conducting social research in settings ranging from the San Jose county jail in northern California to the beach at Pago Pago harbor in American Samoa. Her projects have included systematic reviews of juvenile justice interventions and methodological reviews of the homelessness and trauma literatures. She has also lead teams in field studies of the effectiveness of mindfulness meditation with incarcerated youth; focus groups with youth in the foster care system and with people living with fibromyalgia; and survey research of substance use among people in the criminal justice system and in the general population. 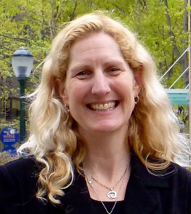 Her work has garnered her several honors and awards from organizations such as the National Institute of Justice (NIJ), the National Oceanic and Atmospheric Administration (NOAA), and the Australian Institute of Criminology. As a social scientist Michelle recognizes the importance of engaging both academic and non-academic audiences in understanding and recognizing the value and practical application of research evidence to decision-making of all kinds. She has published her work in peer-reviewed journals and guided community and professional groups nationally and internationally in the use of research evidence to inform more effective policy and practice. Michelle earned her PhD in Social Welfare from the University of Pennsylvania, her MA in Social Psychology from San Francisco State University, and her BA in Psychology from Rutgers University.